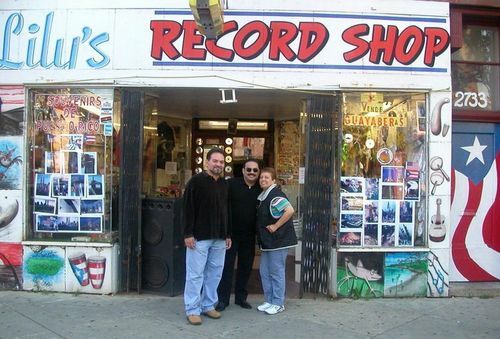 Carmen "Lily" Martinez; born in Hato Rey Puerto Rico. 1st Generation: Sacrifice - Commitment - Community. Newly arrived migrant (1954) to Chicago she had a commitment for herself and family passed down by her mother Juanita Torres "La Viuda". the primary difficulties faced where one of survival, housing, food; however an entrepreneurial spirit and clear understanding with God's help, hard work and success would soon be achieved. 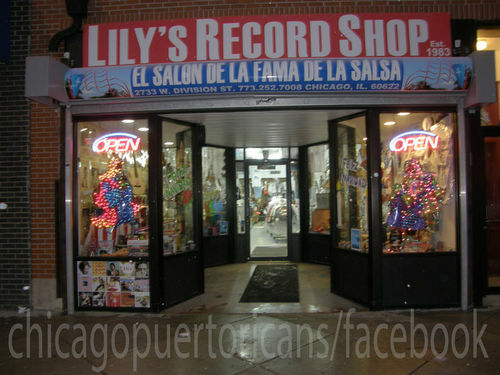 From selling Puerto Rican food in Humboldt Park (alcapurias) and saving, prosperity became a gift; the purchase of a business known today as Lily's Record Shop. With many hours of dedication, Lily and family prospered in the advantages that enterprise creates. Now known beyond the boundaries of Paseo Boricua "La Division Street" her effort has gain the attention of many. After 30 years of success and prosperity with shrewd investments, she has never forgotten her humble beginnings, sponsoring many community events that has taken place to enhace the unity and awareness or the Puerto Rican Culture. The hard work and sacrifices that Lily has demonstrated has been the criteria for her successes.